Thank you for your support. We do everything we can to make it convenient for individuals, organizations, and corporations to contribute. Call the Development Office at 214.584.2315. If you are interested in making an estate planning gift, we can work with you to create a contribution plan tailored to your personal circumstances. Contact the Development Office at 214.584.2315. You may direct your donation for general support of WiNGS and our work. These gifts are directed by our board and leadership staff to fund the most pressing needs. 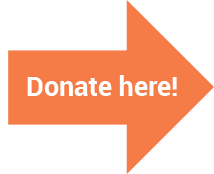 Or you may choose to have your donation go towards supporting one of our Specific Programs: Women’s Health, Financial Empowerment, Nurse-Family Partnership or Women’s Enterprise. WiNGS benefits from support from several corporate and foundation partners, many of whom work together with us on strategic initiatives. To discuss a corporate or foundation sponsorship, contact the Development Office at 214.584.2315. Learn more.